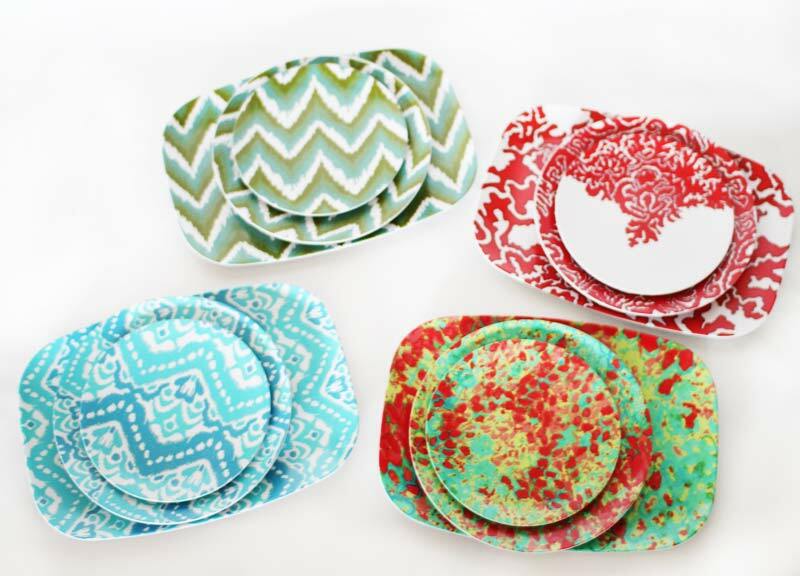 Dallasite Megan Adams-Brooks Tells Us About Her New Dinnerware Collection For Neiman Marcus. Dallas is blessed with having Neiman Marcus' corporate headquarters in town, but local artisans getting their products into one of the major retailer's stores is no easy feat. 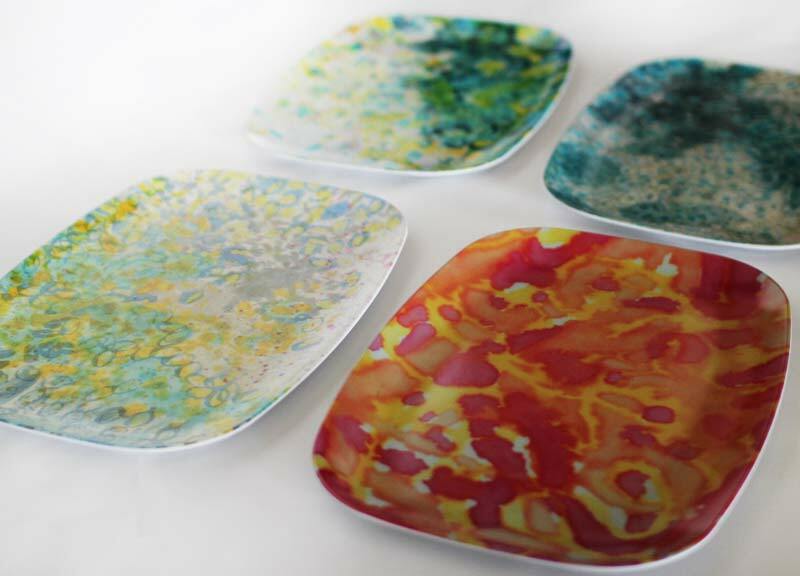 And yet local artist Megan Adams-Brooks has managed to do just that, having recently sold her printed dinnerware designs to the company. 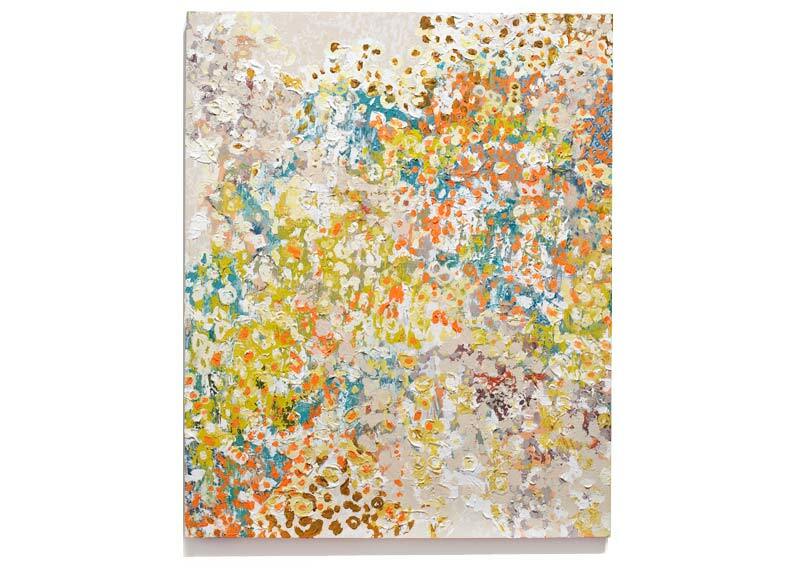 Adams-Brooks began her artistic endeavors while earning her Bachelor's in fine arts at Southern Methodist University. During her studies, she released a self-titled clothing line that was eventually sold at local boutiques. But after realizing that fashion wasn't exactly where her passion lies, she decided to head back to school and focus on textiles while attaining her masters degree at the University of North Texas. Upon graduation, she started seriously developing her new line, called Megan Adams Designs, in the spring of 2010. Inspired by the shapes and patterns of nature, she wanted to recreate them with an abstract interpretation. After working on her designs for about a year, Adams-Brooks took her work to Surtex, an original art and design selling and licensing show in New York, and set up a booth with her designs displayed. There — in New York and not in Dallas where both she and Nieman Marcus are based — she was approached by a Neimans tabletop buyer. 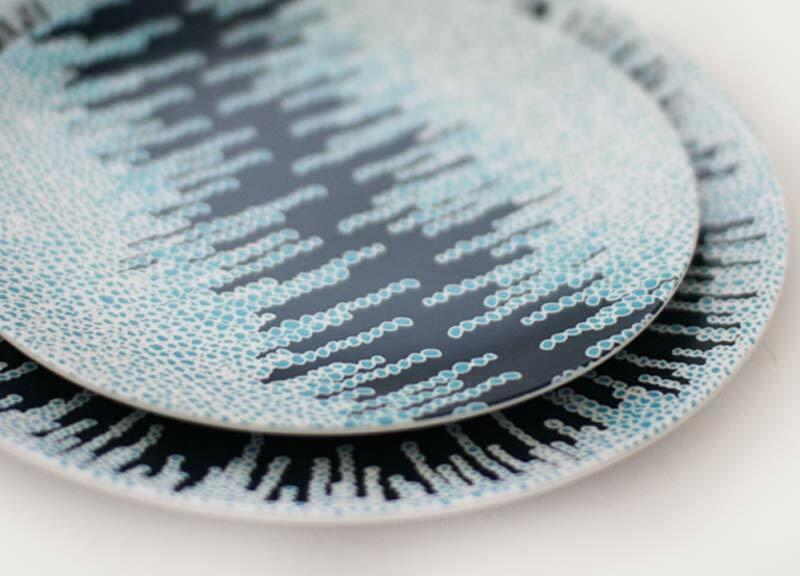 Once back in Dallas, however, the two were able to link up again, with Adams-Brooks pitching to the buyer samples of her designs in circular forms that could be translated to dinnerware. She didn't need to do much convincing: At that meeting, she sold her “Coral Floral” design, a brightly colored pattern that would definitely liven up any dinner table, to the buyer. 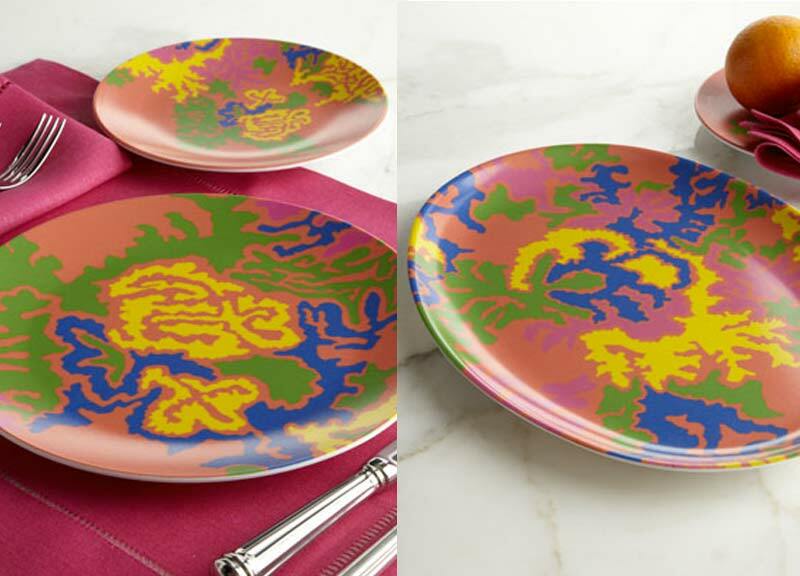 Now, Neiman Marcus is selling these melamine plates that come in three different sizes — a $50 for a platter and between $80 and $95 for a set of four salad or dinner plates. Adams-Brooks also has five more designs available exclusively for sale on her website. The cool thing about these designs is the process of how she gets there. 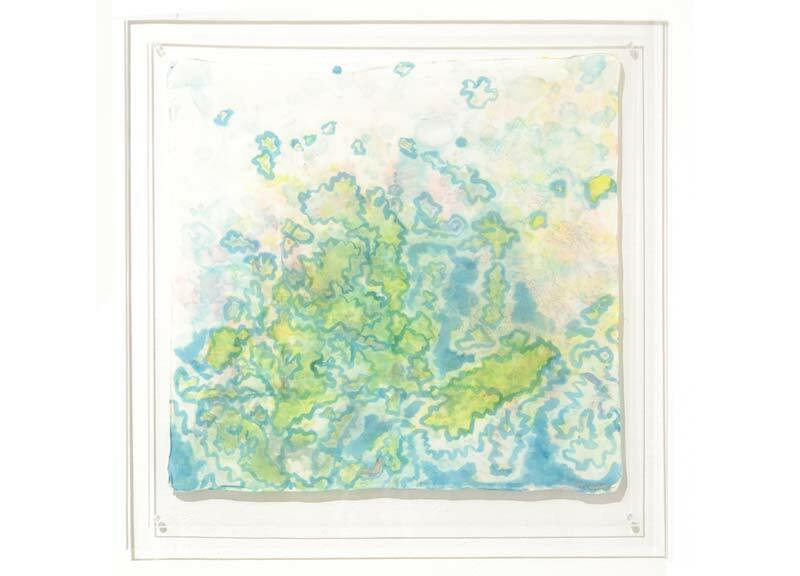 She begins by painting on canvas or silk, screen-printing and sketching, and then takes these different forms into Photoshop, where she can manipulate the colors and transform the softness of the paintings and drawings into more maneuverable graphic elements. 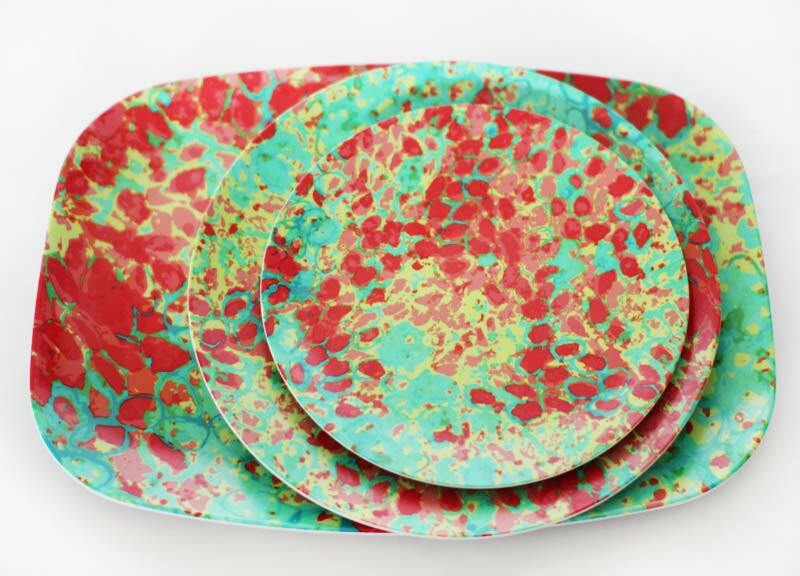 The patterns are then printed onto fabric, which Adams-Brooks sells by the yard to interior designers who can use them for things such as pillows or upholstery or even on digital accessories such as iPads and iPhone cases — not to mention the aforementioned plates and trays. 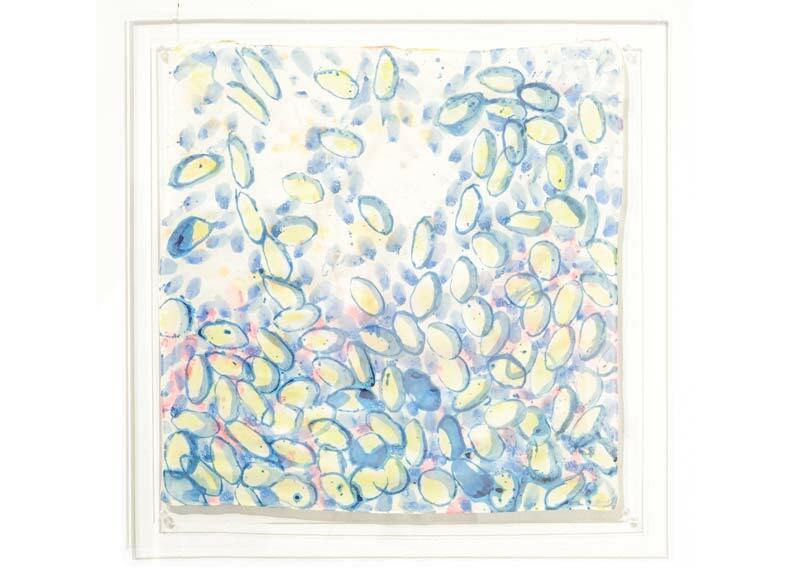 She even has some of her prints on lampshades. Really, the different ways in which her designs can be used are endless. And that's the really cool part. 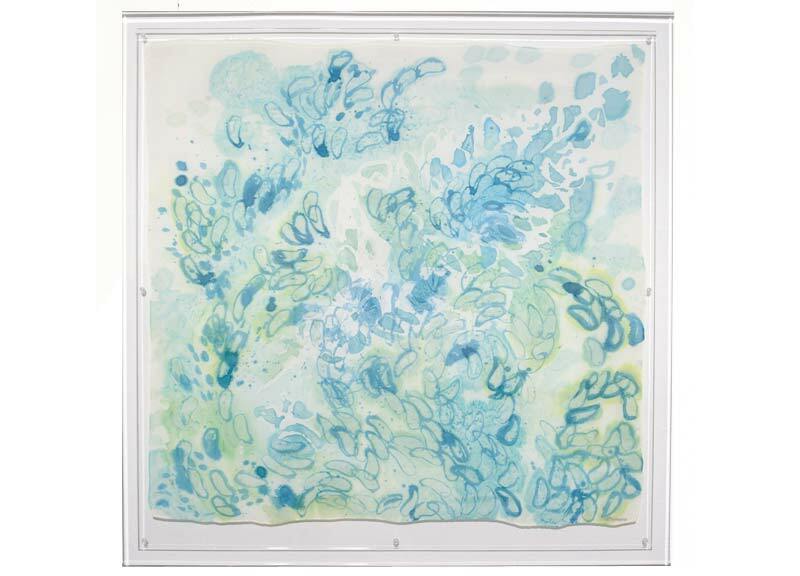 Even her original silk paintings, placed between pieces of acrylics, are for sale at the Blue Print gallery on Fairmount Street. Currently, Adams-Brooks is working on translating more of her designs onto fine china. She has two designs already in sample form. Check out Megan Adams Designs products both at personal site.